Howdy, friends! Hope your Saturday was fan-tabulous! Mine was pretty good! I slept in. Or tried to, at least. Joe and Jim woke up at 8:00am, and wanted to watch TV. But they knew that they had to get their room cleaned first. I asked if they'd vacuumed, and they said that they would. But then I didn't hear the vacuum. And then they told me that they did it. Fibbers! After a few more attempts, they were good. I tried to go back to sleep, but I wasn't very successful. I finally woke up around 9am. And started cleaning. I removed all the "crap" off of the bookshelves. All the "non book" stuff. And from the hutch. And I put it all on the table. Then sorted the clean clothes, and separated out Eme and Tom and Jake's stuff so they could put it away. And I folded all the towels and hand towels and wash rags. Then we moved the furniture, swept REALLY good, and did some laundry. The floor needed mopped really bad, but there wasn't time. It was time to get ready for the pool party. I put on my suit, and had the kids put on their suits too. I took a wet wipe to it, and guess what? It's from the red sun dress from yesterday... it turned me pink. Not a rash, just red dye... Nice... The wipe was TOTALLY pink when I was done. hehe. I whipped up a batch of chocolate chip oatmeal cookies (SOOOO freakin good), and BBQ'd some corn on the grill. I was gonna cut up a watermelon, but forgot about it until it was too late... Oh well. We were about 15 minutes late getting to the pool, but we eventually got there. ha! My corn got a little crispy... But the non burnt parts were delicious, or so I heard. Who brings coloring book to the pool??? hehe. Terra's hubby is home on R&R! We ate and chatted and swam and had a good ole time! Here's Jimmy. We stayed until around 2pm, then headed home. And we ALL chipped in, and helped clean the house for another hour and a half. (Jake wants you all to know that Jim and Joe did NOT help. They were outside in the pool. But in my mind, they WERE helping by NOT being inside and messy... So there, Jake!) Eme and Tom and I scrubbed floor boards, and Tom and I mopped the floor. We washed walls and door and windows and such. And although we didn't quite finish off the project, it looked a TON better when we were done. At 3:30pm, we changed clothes, and headed to the library. It was the last day to turn in reading logs. We filled them all out (took FOREVER) and handed them in. We had about 25 books to turn in. We carried them to the library in a laundry basket. hehe. Tom was SO embarrassed. ROFL! For reading 1000 pages, Eme and Tom earned Jesters hats. Joe and Jim each had almost 30 books read to them, and they earned a foam sword and a puzzle. Go little boys! They were showing Robin Hood, but we'd missed a lot of it, and my kids weren't that interested in it. After we got done with the reading program part, we decided to head home. Kari and Josephine and Leo were there too, and Joe and Leo wanted Leo to come over. So I headed out with 6 kids. We found what we needed, and headed home. I had each child carry 2 bags to the truck, and all was good. We bought a box of 8 sugar free popsicles, and ate them on the way home. I got the extra. YES! That's my reward for taking 6 kids to Dollar Tree. hehe. Check out ALL my supplies! We got home, and started on dinner. Cup O Noodles, and grilled hot dogs. It was a VERY relaxing dinner. hehe. The kids wanted to go in the pool (well, some of them did), and we invited Josephine to come and swim too. Leo and Joe wanted a sleep over, and I said that as long as he went to church in the morning with us, then they could. The boys walked to Leo's house to get his stuff, then got Josephine, and they all came back to swim. And I cleaned more. I washed down some walls in the kitchen, and the bar area. And I started on my bathroom. OMHeavens, it was bad. Captain America, you know what I mean. You left, and now there's no one to clean my bathroom. Anyway, you'd be SUPER impressed with my skills. ha! Margot had texted earlier in the day, and said that her tooth was KILLING her... She had an abscessed tooth, got some meds, but was still in pain. And asked for some help. Amanda said that she could take Emma for a bit today. And after she took Emma home, realized that Emma's stuffed animal got left at Amanda's house. Amanda had called me wanting to know if I wanted to ride back out to Margots house to deliver it. Since I had a house full of kids, I said no, but that Austin could come and play with my kids. He came, and went in the pool for a while, and eventually, everyone was out of the pool, and we put on a quiet show. Because it was getting late, and getting kinda crazy in the house. It was 9:30pm, so I decided to send everyone to bed. Jake and Tom and Eme could read, and Jim and Joe and Leo needed to go to bed. Austin and I sat on the couch and watched a bit of TV. Then Amanda came back at 9:45pm, and she brought me a Diet Coke from McDonalds! 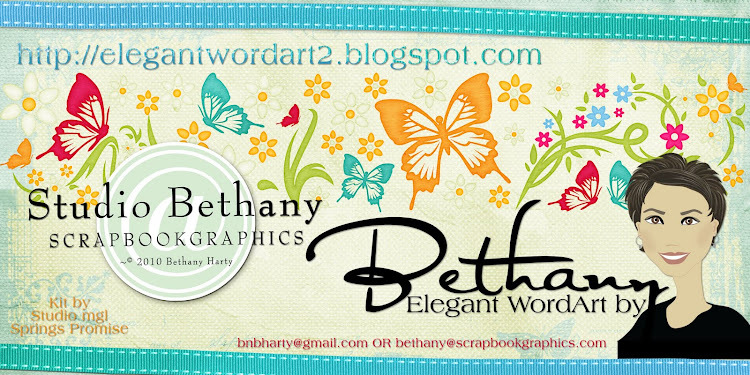 Bless her heart :) Thanks, my dear! I showed her my clean bathroom, we chatted for a bit, and she headed back home. I finished blogging, and watched a bit of 24. It's now almost 11pm. I'm gonna put this away, watch the rest of this episode, and go to bed. Gotta get up early tomorrow. I told Margot that I'd get Emma and take her to church with us so she could have a break. I need to get the 6 kids I have a home ready, then leave the house at 8am to be to Margots house at 8:30am to pick up kid #7, then drive to church and be there by 9am. Oh yeah! 7 kids at church! It's gonna be a full row, I think. hehe. Luckily, all 7 of them will go to classes the 2nd and 3rd hour, right? hehe. Thank you so much for this post. 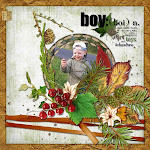 I want to let you know that I posted a link to your blog in CBH Digital Scrapbooking Freebies, under the Page 6 post on Jul. 10, 2011. Thanks again. Sounds like ya'll had an awesome day! Thanks for the great word art!